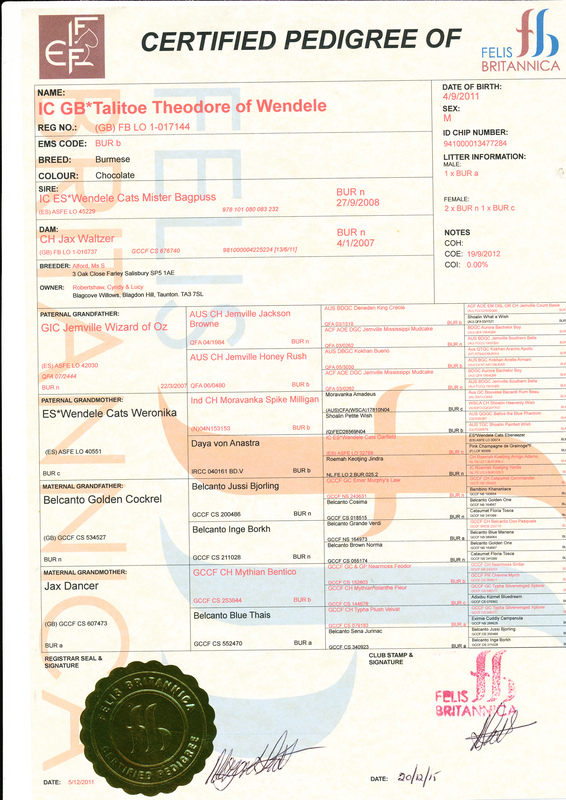 Every care has been taken to ensure that the information given in this list is accurate. Premises are open to inspection by appointment with the owner, & owners are advised to inspect the premises before taking queens. 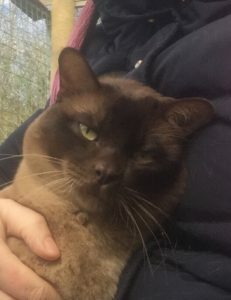 Entry in the stud list does not imply endorsement by the Burmese Cat Club and no responsibility can be taken by the club for the accuracy of the information contained. 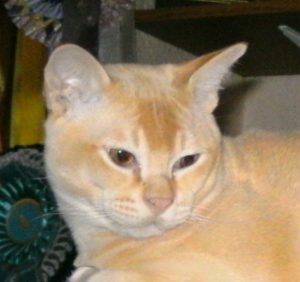 Any complaints, in writing, should be referred to the Burmese Cat Club. Complaints will be treated in the strictest confidence. Stud fees should be offered in advance. Fees are paid for service and not for results. In the event of the queen not becoming pregnant many stud owners will offer the courtesy of a free repeat mating, but this must be regarded as a privilege and not as a right. Stud fees, which are often subject to regular review, are not listed. Queen owners are advised to apply to stud owners direct for details of their fees. 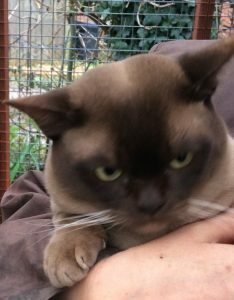 The Burmese Cat Club retains the right to refuse or delete any entry to this list without giving a reason. All studs in this list have been tested for Hypokalaemia or can prove their Hypokalaemia status. You are advised to check the International Cat Care (formerly FAB) genetic database when making enquiries about using a stud. Please note that a stud will not need to be tested if both parents are ‘normal’ so you should also check their status. The genetic test for Hypokalaemia has now been announced and is available to members at a discounted rate. Please contact Mrs Carolyn Kempe – kempe.oakenshield@gmail.com for the code needed to claim your discount. To apply please download the Stud List Application Form. Please ensure that you notify us of any changes, i.e. stud gaining a title, change of telephone number or email etc. We also advise you to read the Burmese Keeping a Stud Guidelines. Please note that there is an annual charge of £10 for this service. This payment will also cover an entry on the Breeder’s Directory. Please send your payment to Olga Walker, 11 Bayham Road, Morden, London. SM4 5JH Email: olga.d.walker@googlemail.com. Payment may also be made by Electronic Bank Transfer. 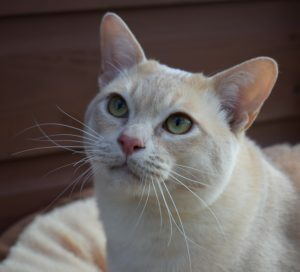 Breeders who wish to place their cats on the stud list should ensure that they have signed The Burmese Cat Club breeders application form before doing so. pfrodwell@aol.com Olive Holt & Ian Higgins At stud to FELv/FIV negative queens on the GCCF active register. All male progeny to be registered on the non-active register except by prior written agreement. impromptu_michele@sky.com Christine Stalker Available to suitable queens on the active register or registered active with another bona fide organisation. 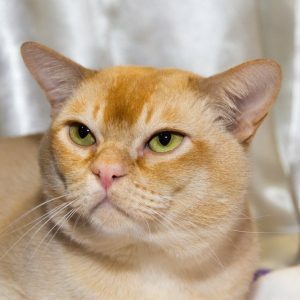 Snap test required for FeLV/FIV. Cheshire UK & Olympian Silver Imp Gr Ch Aureus Firecracker.